I finally had some time to get back to video makin’. I took Lemma for a spin. It’s a parkour puzzle game that’s pretty darn cool. 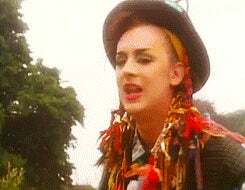 Mostly though, I just kept singing Culture Club’s Karma Chameleon. I’ll let the dev sum it up. “Immersive first-person parkour in a surreal, physics-driven voxel world. Lemma is on steam and you can try out a demo for free.